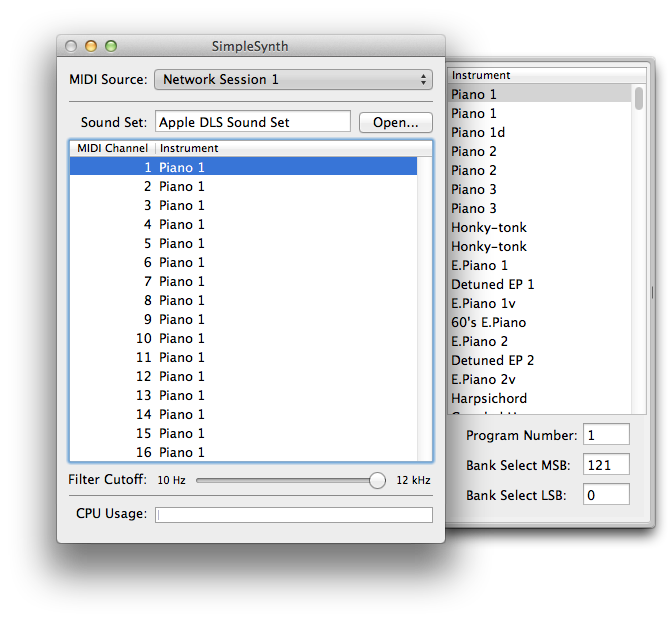 Open Audio MIDI Setup in Applications/Utilities and select Windows/Show MIDI Window in menu bar. You should now see the window below. Click on Network and the window shown below will open. 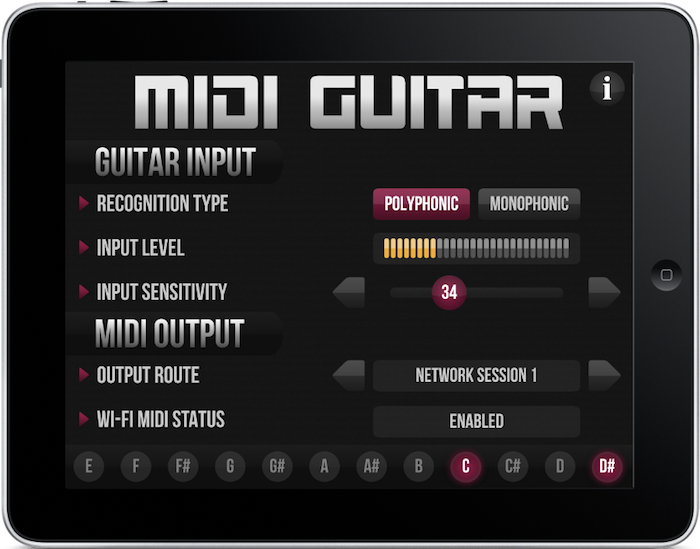 Now start MIDI Guitar on your iOS device and select “Network Session 1” as the output route. 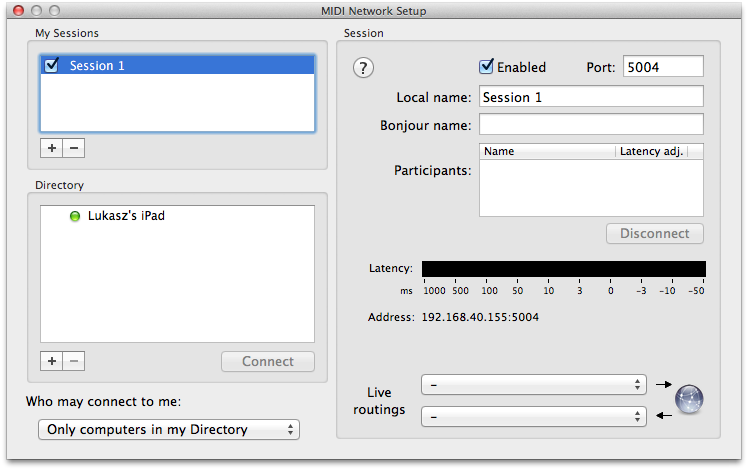 Make sure WIFI is enabled and that you are on the same local network as your Mac OS X computer. 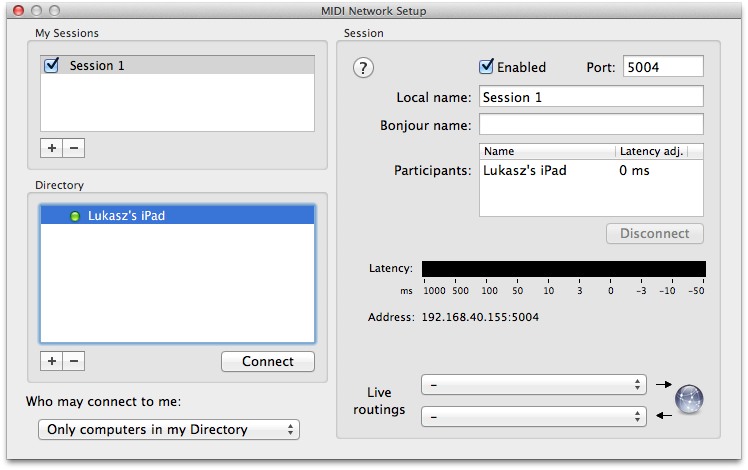 You will now see your iOS device appearing in the Directory list. Add a new session to My Sessions and check Enabled for the new session. 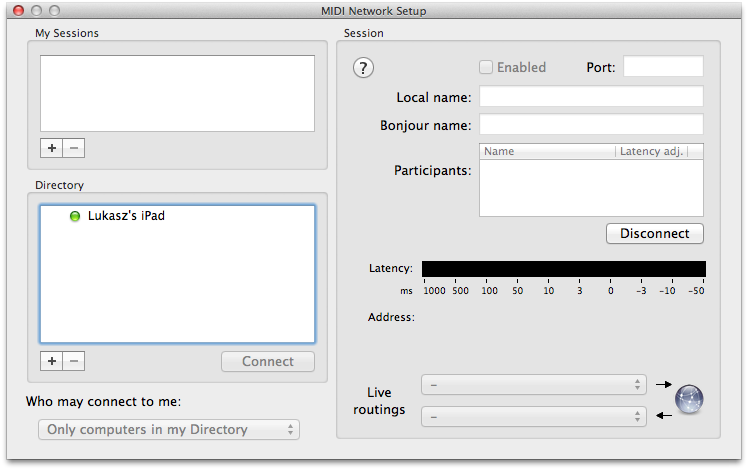 Now MIDI Guitar is setup on your Mac OS X computer to receive WIFI MIDI from your iOS device. Start playing notes the guitar connected to MIDI Guitar and SimpleSynth will play the same notes using a synthesizer on your Mac OS X computer. 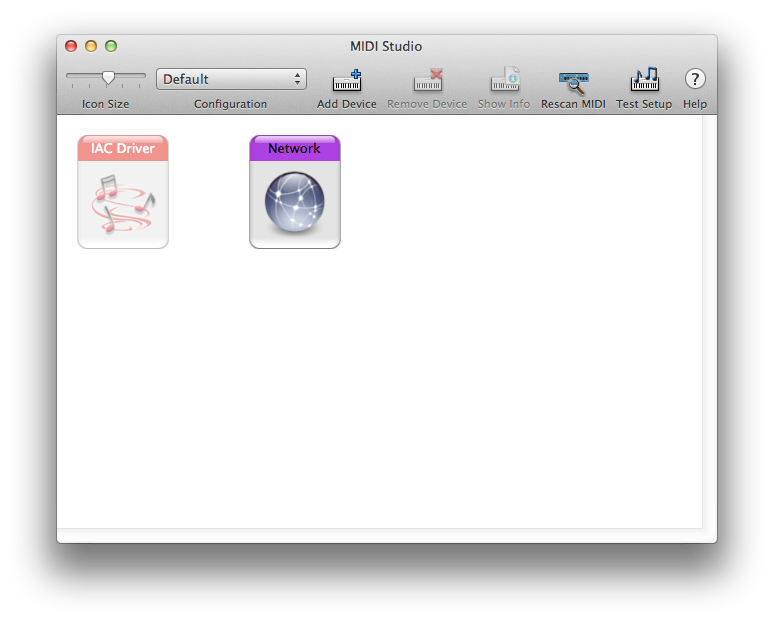 Sometimes Audio MIDI Setup cannot automatically find your iOS device. This is a OS-X problem not related to MIDI Guitar. It’s possible to connect to it manually, here is how. 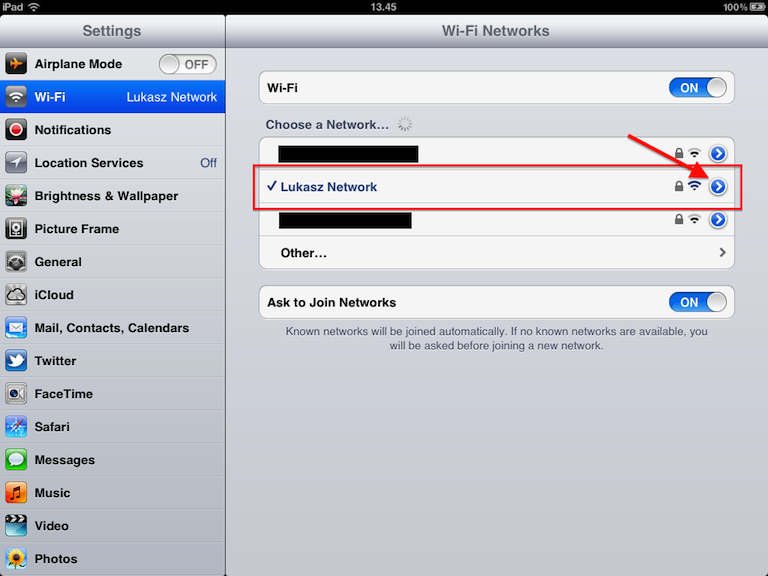 First you need to get the IP address of On your iOS device, go into Settings and then WIFI and click on the small blue arrow next to your WIFI networks name. 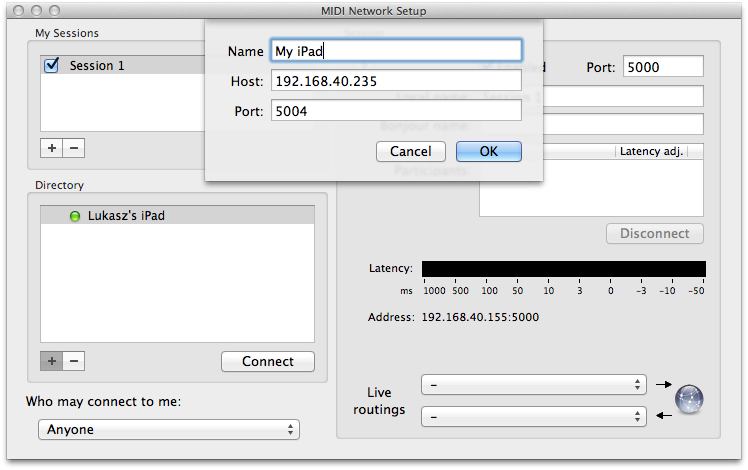 You can now see the IP address of your iOS device. 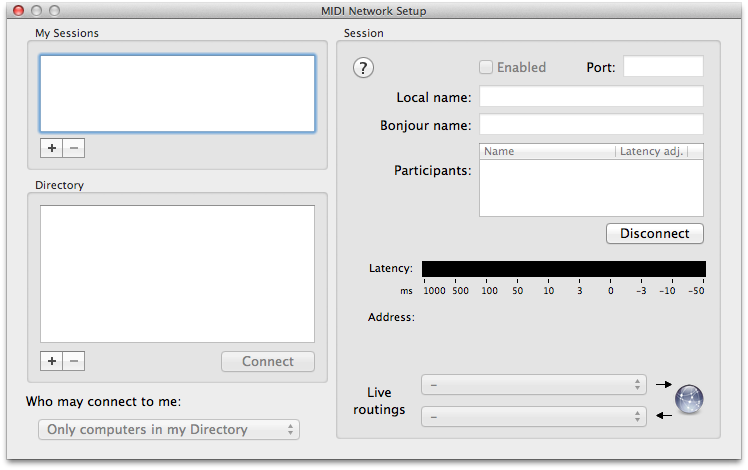 Now open Audio MIDI Setup on your Mac and in the MIDI Network Setup window click on ‘+’ button located below Directory. 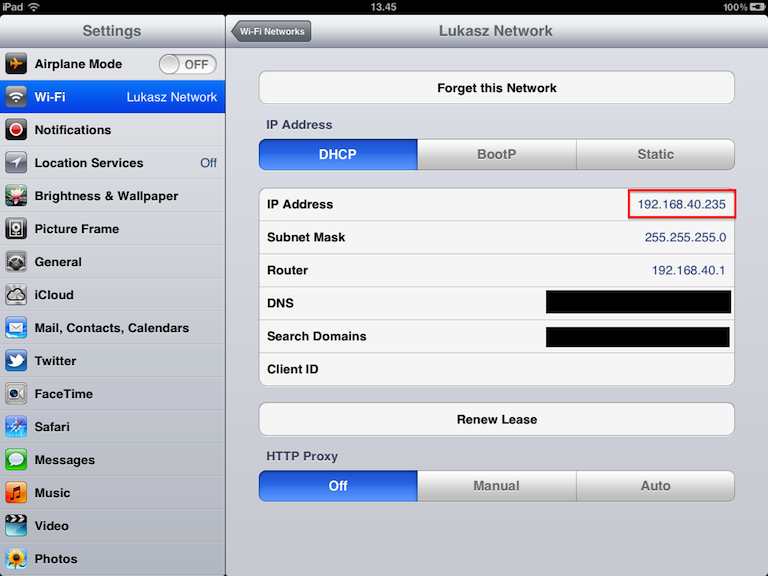 Type in a name for you iOS device, the IP address you got from the iOS device and port 5004. You should now be able to connect to your iOS device.